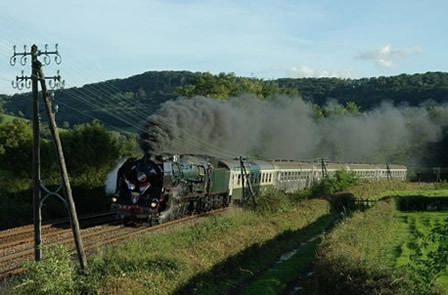 In 2019 “Les Chemins de fer du Creusot” is again planning a number of runs with 241P17 – details are still not published as at today’s date (12th April 2019) but will be posted as soon as available. Hopefully there will now again be a France + Switzerland trip in September – with 241P again double-headed with 241A65 within Switzerland; and we are happy to make individual bookings for you on all of the CFC trips, including Eurostar + TGV rail to and from Le Creusot where all the journeys start; and appropriate hotel accommodation. If you are travelling from the UK to join any of these tours, you will need accommodation in Le Creusot the night before the trip starts, and probably the night it ends. Recommended hotels are the F1 Le Creusot TGV** (from £27 per room per night) or Kyriad ** (from £52 per room per night) – both room-only and near to Le Creusot TGV station; or the Hotel La Petite Verrerie, (from £85 per room per night incl. breakfast) – in Le Creusot town and walking distance from Le Creusot SNCF station. You will need to budget for taxis between Le Creusot TGV/Novotel and Le Creusot SNCF/town or v.v. because although the distance is not great, it is not “walking distance” unless you are very fit (or very mean!) Details of such bus services as exist, will also be provided. Return fare from St. Pancras to Le Creusot TGV and return from* £155 2nd Class, or £234 1st Class. Just across the English Channel, and much nearer than Le Creusot, is Noyelles, on the old main line from Calais to Paris – the route of the “Fleche d’Or” or “Golden Arrow” – and the hub of the Bay of the Somme Railway, with branches to Le Crotoy, and to St. Valery-sur-Somme and Cayeux-sur-Mer. The annual steam festival takes place on the above dates, and for the occasion we present a package including return Eurostar and rail between London St. Pancras International and Noyelles via Calais Frethun; a 3-day pass valid on all the public steam trains which will be operating on the network over this weekend (and there are many – click on this link http://www.fetevapeur.fr/index.php?lang=en for the full timetable); and 3 nights BB in an hotel in St. Valery (or in Noyelles or in Cayeux depending upon availability) and travel from St. Valery to Noyelles on Monday morning. Package price as at 21st March 2016 and based on ROE of €1.15 = £1: £299 per person sharing twin room. 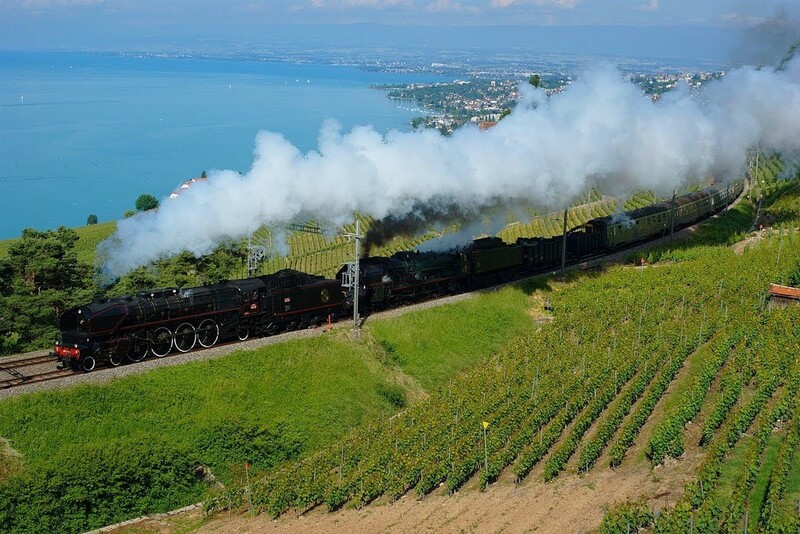 The outward journey on Friday 15th April leaves St. Pancras 12:58 and with one change in Calais Frethun, arrives Noyelles 16:32, still in time to see some of the festival trains before the weekend begins in earnest on the Saturday and Sunday. The return journey on Monday morning leaves Noyelles 08:05 and again with a change in Calais Frethun, gets to St. Pancras at 09:57, useful for those who cannot miss a working day. It is possible to leave Noyelles on the Sunday at our special price, but at 11:19 which would mean missing much of the activity on that day. Travel out and back on other days is of course possible but details and prices would be confirmed at the time of booking.